Hello everyone! Happy September! Looking forward to speaking with many of you now that the summer season is over. As you know I am lucky enough to have lots of conversations with folks who are involved in all parts of the industry. Some of it I have been keeping on sticky notes on my desk to see if anything develops and I can write a longer blog or research piece. For some reason, I have several of these that I thought I would go ahead and publish something about rather than wait for the time, inspiration or more detailed information to write about. That’s why I’ve called this piece Flotsam and Jetsam or odds and ends. The VRBO traveler’s fee discussion continues to rage on. In case you’ve been on a desert island, HomeAway instituted a traveler’s fee in the early part of 2016. Many vacation rental companies and individual users have decried the fee as corporate greed and intention power grab in a mostly cottage industry. HomeAway’s Brian Sharples commented in a Tnooz article that the fee on listings will vary, and will be between about 4% and 10% of the total value (not to exceed $499), that it would be lower than competitors, like Airbnb, and the revenue generated was intended for more investments in marketing, product and services along with operational costs. Most of the vacation rental managers that I’ve spoken to feel frustrated by the fee and find themselves having to explain to the guests that this is not their fee. Others, who shall remain nameless, have tried pushing folks to their direct website with the assertion of “not having to pay extra fees”. These sorts of practices are being monitored by HomeAway and they will send you an email outlining their plan of action if you are getting leads from them but not recording them as HomeAway sourced reservations. Encouraging and/or advising travelers to avoid the service fee goes against our terms and conditions. Please immediately cease directing travelers, via the inquiry system, to book or pay using another method outside of our reservation system to avoid the service fee. When a listing (including the listing inquiry system) is used to encourage and or advise travelers to avoid the service fee, it can result in the deactivation of the listing. Please review the terms and conditions so you can ensure you are familiar with them. So far, I’ve seen this ad for the marketing push that is routinely identified as the need for the additional fees. I think we can all agree that the soap was the… most memorable part of this ad. I did see that Airbnb has bought many Google Ads that start with Book the Whole House. Oh well. Just wondering, has anyone seen anything else? I am NOT picking on HomeAway. This is about overall visibility on marketing portals. Another completely anecdotal discussion has been brought to my attention in community forums. Something is going on with online inquiries and bookings. Many VRMs are reporting that they used to receive 1000 inquires in a month are now receiving less than 100 and overall bookings are done. Some of this may be the result of new requirements and algorithms or an increase in vacation rentals in popular vacation areas. What are you seeing.? Is this in particular markets (one of my sources is on the Gulf Coast of Florida), or is this a complete non-issue for you? I’d like to know what your experience is if you would be willing to share in the comments below. I still feel that a strong strategy is to continue to invest in your own online presence and building out niche marketing strategies. You can find more about this in this blog and this blog. (And, shameless plug, if you are interested in software that helps you with the technology to create a marketing niche, well great… let’s talk. I have lots of ideas and technology to share with you, claiborne@barefoot.com or call 804.212.1280). 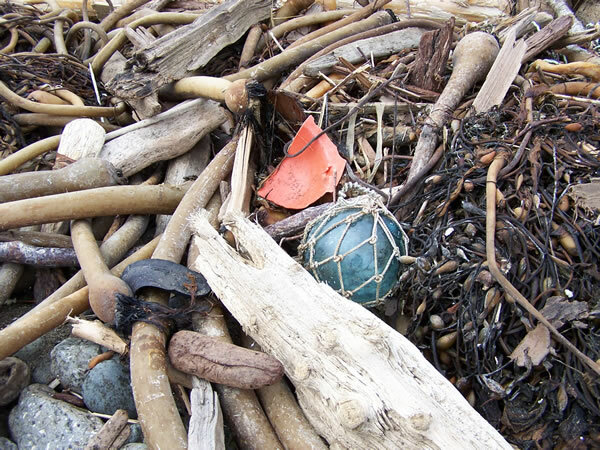 More Flotsam and Jetsam to come next week….